24/7 Dealer Training Specialists offer the most thorough, certified auto dealer training courses available. We offer a comfortable, stress free environment, with friendly and knowledgeable instructors. Our class graduates have a 100% passage rate on the auto dealer certification DMV Test. 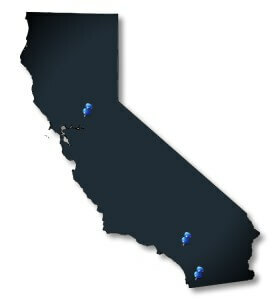 We have 3 convenient locations in California for your auto dealer training. Visit us in San Diego, Corona or Sacramento, whichever is most convenient. All our locations offer the same certified instructors, excellent pricing and guarantees. Our goal is to focus on quality education for your successful career as a used car dealer in the motor vehicle industry. We are dedicated to providing a working understanding of the legal issues, and supply you with a resource to help you in the future. This extensive knowledge will help you learn and understand the law, not just teach you the answers to a test. Want to be a car dealer but don't want to deal with the hassle of paperwork and running around? We provide an all in one solution!